Phuket is a province, a city, and an Island which boasts lush rain forests, white sandy beaches, and spectacular mountains. 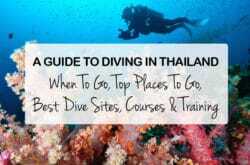 It is located in the Andaman sea, just off the mainland and is by far Thailand’s largest Island. The climate is generally warm all year round with temperatures of around 25 – 34°C ( 77 – 93°F ), making for lush native plants, wildlife, scenery and the perfect holiday destination. There are many beautiful places to see and things to do while visiting Phuket, experience the Thai culture at the Buddhist Temples, go on a Thai cooking course, take day trips to nearby islands, tour the national parks, relax in the Spas or have lazy days on the beach. Your really spoilt for choice when it comes to activities and things to do, there’s something for everyone here in Phuket, making it one of the most desirable places to visit in Thailand. 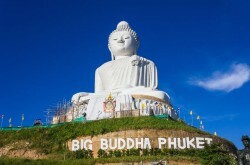 Here below we will explore some of the top attractions on the Island of Phuket. There are several temples of note which you may enjoy visiting. Buddhism is the main religion on the Island, and most temples are happy to explain about the faith and answer any questions you may have, just remember to take your shoes off outside before entering. Big Buddha is shaped like Buddha, with a smaller Buddha who looks gold but is actually brass. It is considered one of the most respected landmarks, and is located at the top of the Nakkerd Hills. There is a six kilometre road which winds up the slope and takes you right to the temple. Wat Chalong is a temple which was founded more than a century ago. It is located near Chalong Bay and if you go to the west part of the old temple hall, you can see the statue of Poh Than Jao Wat. It’s considered to be one of the main must-see statues in the temple, and nearby is the statue of a famous resident who became rich winning lotteries after visiting the statue of Poh Than Jao Wat. There are other statues of interest in and around the buildings. Wat Khao Rang temple is located in Phuket Town on the slope of the hill. It features a golden sitting Buddha statue and was once the largest Buddha statue, with Big Buddha taking on that honour later. There are all sorts of locals and visitors who come to the temple to donate fresh food and alms to the monks. This usually happens in the morning and is considered to be a beautiful ritual to watch. If you want to see a statue of the Lord of Death, also known as Yommaraj, take a walk around the temple, and you will find him. Wat Phra Thong is renowned for its half-buried golden Buddha. This statue is called Luang Poh Phra Thong, and forms the other name some refer to the temple as – Wat Phra Phud – or Temple of the Protruding Buddha. What is possibly the oldest temple on the Island, it was visited in 1909 by crown prince and future King Rama VI who gave the temple its name. A walk around the temple will show you statues of the most popular temple abbots throughout the history of the Wat Phra Thong Temple. When you’re on an Island, you can’t miss the beaches. 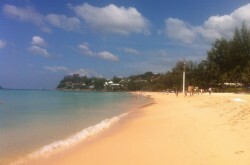 On Phuket, the sand is fine and the water is crystal clear. 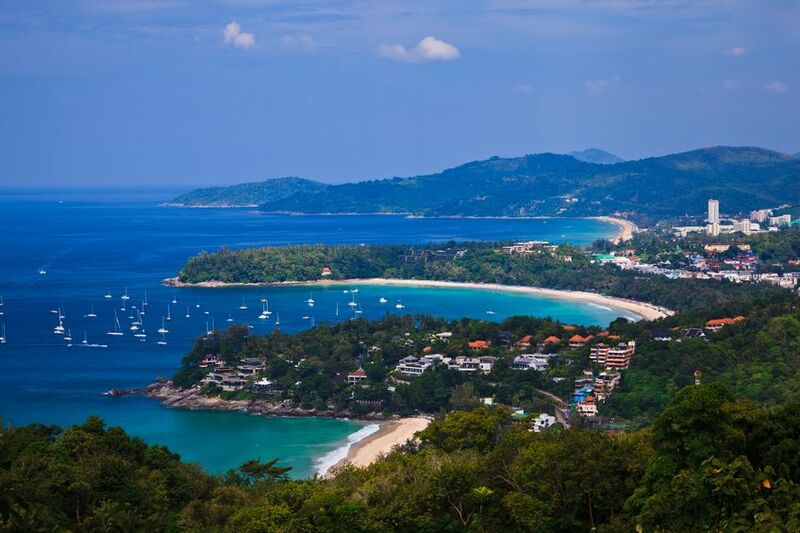 There are a few main beaches of note – Patong, Kata, Karon, Surin, and Kamala. Patong has a busy beach, it has lots to see and do and is fairly popular with locals and visitors. Patong also has a very active night-life. Kata Beach has many palm trees to shade underneath, making it a popular spot. There are also nearby accommodations, and a good night-life too. Karon Beach is your beach for shopping; it is one of the longest on the Island. Surin Beach is where you can celebrity watch and stay in luxury resorts. Kamala is one of the quietest beaches, just north of Patong, you might find a solitary spot of sand to wander on. Most beaches have restaurants and other food options close by, which makes a day at the beach all the more readily available. Make sunscreen a take-along essential as you will likely feel cooler than your skin is, and people can burn easily before they notice in this tropical environment. Phang Nga Bay is definitely worth a day trip, which can be organised from any tour agent and some hotels can even help you with booking the trip. Phang Nga Bay is home to some of the most spectacular limestone karsts, which break out of the water. These rock formations can be a lot of fun to explore and photograph. A boat trip from the Northern end may be exactly what you are looking for in order to see everything and enjoy your day. In the bay are James Bond Island and Koh Panyee. 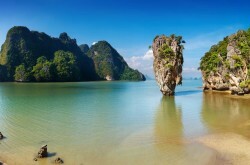 James Bond Island was featured in the movie The Man With the Golden Gun, and is actually known as Nail Island or Koh Ta-pu. Koh Panyee is a village built over the water on stilts. Since most of the area consists of tall limestone formations, the shallow areas of the ocean are where restaurants and houses are built on the water. One word of warning – tours often take place in the area, so plan your visit accordingly to see the area in all its glory. If you want to see rain forest on Phuket, the Khao Phra Thaeo Wildlife Park is the place to go. It is a National Park and Wildlife Rehabilitation Centre which encompasses 13 square miles of lush rain forest and amazing scenery. The park offers giant ancient trees along with protected animals such as tusked hairy wild boar, monkeys, pythons, flying foxes, birds, cobras, malay sun bear and more. The rare White Back Palm (Governor’s Palm) is also in the park along with varieties of deer such as mouse deer and barking deer. You can hire a guide and take a forest trail hike, or check out the Phuket Gibbon Rehabilitation Centre. This is an NGO project which accepts gibbons in captivity, and once they are ready, releases them back into the wild. Nearby is the Bang Pae waterfall, another reason to visit! White sand beaches and seasonal turtle nesting areas are just two of the many things Sirinat National Park is known for. Trees in the area include tulip trees, white barringtonia, Alexandrian laurel, ashoka, elephant apple, ironwood, tropical almond, cajeput, screwpine, black plum, and morning glory. Local birds which you can see are common myna, Asian fairy-bluebird, greater racket-tailed drongo, magpie-robin, spotted dove, oriole, and bulbul. There is a mangrove forest, and within you will find red, white, black, cannonball, looking-glass, and Ceriops mangrove trees. You might also see some exotic birds and reptiles in the mangrove forest part of the park. In the nearby waters there are shrimp, mudskipper, grouper, garfish, and mullet. One must-see area just offshore around 2,100 feet are the Coral reefs. You will need a boat and guide for that part of the Sirinat National Park. 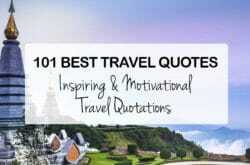 Phuket is an incredible place and one of the most desirable destinations in Thailand. Whatever your interests, there is sure to be something to see and do for everyone. Don’t be afraid to try new experiences, including local customs and cuisine. There are plenty of historical sites and hikes available, as well as boating adventures and bus tours. However much time you have to spend in Phuket, you are sure to enjoy your stay.